I love this time of the year with the fresh & crisp air & the trees full of red apples! I just picked the first ones from our own tree! Well for the challenge, I made a gift bag with a tag. I used the MFT clouds dies as the tag base and some great Hero Arts stamps for the decoration. 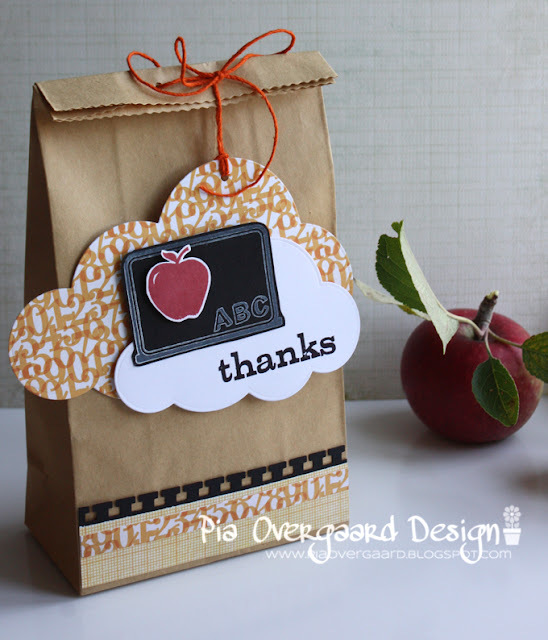 Stamps: All Hero Arts:Good Work CL568, Tree Birds & Messages CL182, Four Apples LP125. Other: Kraft bag, MFT Cloud die, EK Success punch, Lawn Fawn Twine. Thanks for stopping by! I hope you'll have a great weekend! I am in love with the staging and the dangling tag! glad you played CFC! 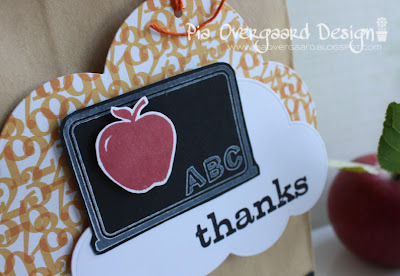 love love the cloud shaped tag and the stamping! fabulous project as always, Pia! thanks for joining us at CAS-ual Fridays Challenge! Ooo...wow! The cloud dies are such a great background for the tag. I love the cute chalkboard and the patterned papers you used. Awesome gift bag! Thanks for joining us at CAS-ual Fridays!